This morning my wonderful wife threw together a “bountiful breakfast hash” using many products that we got from Bountiful Baskets. This morning’s tasty breakfast is comprised of potatoes, red peppers, mushrooms, spinach, onions and garlic. Also included was a healthy dose of smoked Paprika. 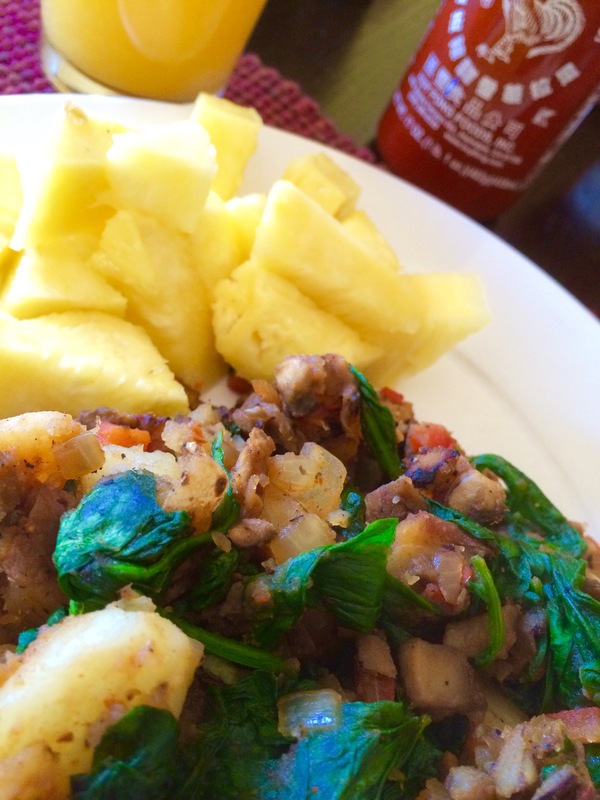 Along with this breakfast hash, we have fresh cut pineapple and freshly squeezed orange juice! Of course, there’s nothing better on hash than a bit of ketchup and a lot of Sriracha sauce! Throw in some 2 Cellos music and it makes for a wonderful breakfast.